There has been a bit of a gap with my posts recently while I was having my new site built, so I thought I would kick it back off with a makeup 101. With so much makeup advice out there, it can get overwhelming so I’ve rounded up a few basic tips on each aspect of your makeup to help with your every day application. A primer is basically a silicone-based moisturizer; it puts a barrier in between your skin and foundation. Allowing smoother application and makeup longevity. Apply a small amount to lightly moisturized skin and leave for a minute or so before applying foundation. If your oily you can skip the moisturizer. Yellow-based foundations tend to be more flattering, neutralizing redness and reducing the risk of looking dare I say orange. 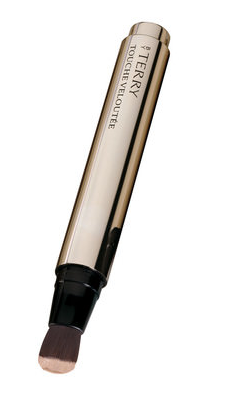 I like to use a small eyeliner brush for precise application, thus ensuing that you are not over using the product. (set with powder). For oily skins use a more solid concealer – like Laura Mercier secret camouflage. For dry skins and for more delicate areas for example under eyes, use a more hydrating concealer like MAC ‘Moisturecover’ or By Terri Touché Veloutee – super hydrating, and light reflective – love! Grab a pencil or thin makeup brush and place vertically alongside of the bridge of your nose, (not the nostril) when it reaches your brow bone – this is ideally where your brow should start. Then look directly at in the mirror and place the pencil at the nostril and diagonally angle the pencil outwards towards the outer part of your eye lining up with the outer side of your iris (the Coloured part of your eye) – this is your highest point – the arch or the brow. Bronzer should be used too give a warm healthy glow to certain areas of the face only, don’t apply your bronzer all over, image if you have been out in the sun – where the sun would naturally catche your face – is where the bronzer should be placed. Top of forehead, bridge of nose and lightly over the cheeks – use a big brush and use this products sparingly!